We’ve shown you some of Batman’s best covers and suggested some of his must read stories, and now the time has come to celebrate some of his best battles! Bruce Wayne’s fought dozens upon dozens of characters over the years, so to keep things simple, we’re going to stick to some of the fights that he won or it was at least a flattering showing for him. Now, let’s go see why so many villains are afraid of the Dark Knight. Seeing as Batman’s been around for 75 years, we obviously won’t have every extraordinary and fun fight on the list. So, if your top choice isn’t below, go ahead and post it in the comments. William Cobb, a.k.a. Talon, is a lethal assassin with an impressive healing factor. As if that wasn’t challenging enough, Batman is beyond exhausted in this issue. He’s drugged, dehydrated and injured. Needless to say, the odds are heavily in Talon’s favor. However, Scott Snyder, Greg Capullo, Jonathan Glapion, and FCO’s chapter goes above and beyond to show just how far Batman’s willpower can take him. Even though he’s been humiliated, he realizes the fate ofGotham City is up to him and not only does he find the will to fight, but he ends up absolutelywrecking Talon. The art team really goes all out with this one and there’s great symbolism having the fight in the middle of model of Gotham. No, Superman fans, this isn’t a jab at you. Frank Miller’s epic fight in THE DARK KNIGHT RETURNS #4 is making the list because it was a brilliant and seriously cool way to show where Batman stands in the story and how far he’s willing to go to fight for what he believes in. Superman, who’s basically the Government’s attack dog, has been ordered to stop Batman and will do everything possible to reason with his former friend and ally. Batman, on the other hand, refuses to abide by these rules and will use everything he’s got — in this case, it’s resources, friends, and a sharp tactical mind — to fight for what he believes in. Or, you can simply cast aside the meaning behind the fight and just celebrate the fact that Batman puts a beating on Superman. Sure, Superman’s holding back and Batman had major prep and assistance, but we all know Superman could and should destroy Batman if he really wanted to, so let’s let Bruce enjoy this one, yeah? Plus, the dialogue Miller gives Batman is quite badass. Now we just have to wait and see how this is handled in Batman v Superman: Dawn of Justice. Batman and Bane have brawled quite a few times, but their battle on the docks back inDETECTIVE COMICS #701 is probably their most balanced and intense one yet. These two often slug it out and rely on raw striking power, but this was a contest of skill and brains. Bane is able to take the edge, but Batman’s finds the strength to overcome and he clocks the villain with some huge hits. It’s a fight that does both characters justice and is a total blast to observe. After Bane broke the Bat, Bruce had to recover and retrain. He wasn’t ready just yet to take Gotham by storm and he sought out the lethal Lady Shiva for assistance. Naturally, she couldn’t be trusted and, to test Bruce, she made sure several deadly characters would go after him. The final challenger was a big fellow who specialized in Aikido and it was a riveting contest of technique and strategy. Shiva wanted to push Batman to the point where he’d take a life and, when all is said and done, it seems like he gives her just what he wants. He allegedly uses the leopard blow — a move that can kill in just one hit — and Shiva is satisfied with the result. However, it was all a trick and Batman just knocked the combatant out. You see, at that point, he had all of the training he needed to get back in the vigilante game and that “kill” would make Shiva back off. Batman and Ra’s al Ghul have battled plenty of times before and it’s often a grand stalemate before something changes the odds. Yes, there are some times where Wayne has flatout defeated the Demon’s Head (e.g. Hush) and there’s a number of fights that are well worth highlighting, but their melee in Birth of the Demon more than deserves the love. The choreography keeps your attention glued to each and every panel and Norm Breyfogle’s artwork is amazing. Seriously, take a look at the panel above one more time. If you haven’t read this one, do your eyes a favor a check it out. 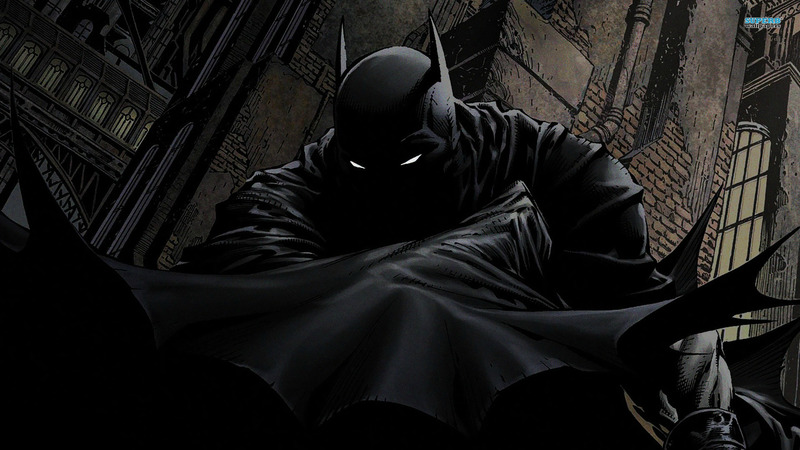 The Caped Crusader is one of the most gifted unarmed combatants on DC’s Earth. Only a select few can step up to him and overcome or make him work really, really hard for a victory. Lady Shiva happens to be one of those people. Squaring off during A Death in the Family, Shiva stalemates Batman and even makes a swift recovery after getting hit quite hard by the hero. Batman thought about what he’d need to do to hopefully win the encounter, but luckily for him,Jason Todd was there to turn the tide in his favor. Also, fights illustrated by Jim Aparo are always a good time. Batman made the mistake of trying to go hit for hit with the Mutant Leader, a character who’s stronger and faster than the hero. Batman isn’t known for making the same mistake twice, so you can bet he makes sure the rematch is set it a place that’ll balance the odds. The location: a mudhole. This slows the Mutant Leader down and allows Batman to eventually triump thanks to his exceptional tactics and technique. Unfortunately for the Mutant Leader, Batman shows the goon no mercy. He doesn’t kill the villain, but he makes sure the evil guy won’t pose a threat for a very, very long time. Now, you’d probably think the lengthy Knightfall event would end with the explosive and over-the-top clash between the new violent and mentally unstable Batman, Jean-Paul Valley, and the plain ol’ regular Batman, Bruce Wayne. Sure, the two do have a scuffle, but this encounter isn’t great because of the physical aspect — even though that part is entertaining — it’s great because of the spotlight it places on character. Is Valley too far gone and how does Batman feel that the cowl has changed — in both appearance and the message it sends — so drastically? It’s a massively character-driven exchange that also happens to have a few pretty cool flips and attacks thrown into the mix. Believe it or not, there was a time where KGBeast was a really formidable mercenary and he even gave the Dark Knight some major trouble. Batman is going all out, but he’s still unable to stop the Russian’s killing spree. The murderer escapes into Gotham’s sewers and the two have a gripping battle and constantly test one another’s abilities. They both take steps in an effort to push the battle in their favor, but then their opponent will do something to bring it back to an even level. This one’s thoroughly engrossing from start to finish. Sure, you know Batman will eventually win, but man, it’s one heck of a ride. First and foremost, you need to go read Frank Miller and David Mazzucchelli’s BATMAN: YEAR ONE if you haven’t already done so. Really, you can’t get a proper handle of a character if you don’t see and understand their roots. Now, it’s an awesomely immersive story and Wayne’s battle with the SWAT team more than deserves to be on this list. Despite already having bullets in him and having a majority of his gear unavailable, Batman’s able to put his mastery of stealth and skill to superb use. And just when you thought it couldn’t get any crazier, the bats come storming in. It’s a fantastic conclusion to an especially fantastic action scene. Batman has studied martial arts for decades. Not many can hold their own against him in a melee fight and even fewer can beat him down (we’re talking about character that aren’t absurdly powerful, obviously). Sensei has studied for centuries and it certainly shows. He obliterates Batman, but because of his age, he can’t withstand fighting for more than two minutes. He unleashes, but Batman’s endurance and willpower shines through and he’s able to stay in the fight until Sensei loses control and takes a little dip in the Fountain of Life. Unfortunately for the martial arts master, it only brings death to people who lack purity of spirit. This is yet another showing that proves Batman’s pain tolerance is seriously commendable. Batman and Superman’s brawl in Hush is often misunderstood. Someone will share the double page spread of Batman slugging Superman and everyone assumes it’s a win for Batman. But if you read the captions, you’ll see Batman flatout admits that things aren’t going well and the best he can do is buy some time. That said, this is on the list because it’s still a praiseworthy effort against the Man of Steel. He makes it clear he isn’t going to bring the Kryptonian to his knees, but he has a plan set in place that’ll allow him to keep the immensely powerful hero occupied and eventually reason with him. It’s a solid display of tactics and Jim Lee’s art is a delight. The rooftop fight between Batman and Red Hood in Under the Red Hood is fierce, but their final conflict is overflowing with emotion and it’s easily the story arc’s highlight. Everything from the heated dialogue to how the resolution is solved is simply gripping and the intensity is never turned down. There was so much buildup in this storyline between these two and this was a terrific way to conclude it. When it comes to saving your kidnapped child, Liam Neeson has nothing on Batman. Morgan Ducard, a.k.a. Nobody, pushed Batman too far and dared to kidnap and harm his son. What follows is an absolutely savage brawl between Batman and Ducard, and artist Patrick Gleasonmakes it every bit as brutal as it should be. It’s vicious and you can really feel the rage that’s inside both of these fighters. It’s a harsh display of violence and the ending is a real jaw-dropper. There aren’t many street level characters out there that can give Batman a run for his money in a fair fight. Despite that, a lot of goons still walk around with an inflated ego and think they have what it takes to clobber the Justice Leaguer. Night-Scourge is one of those people (thanks to Hugo Strange). Yes, he gives Bruce an exciting fight with his blades, but the DC hero’s able to adapt and eventually Scourge is hit with the realization that he isn’t on par with the World’s Greatest Detective and he flees. However, it’s the GCPD that ultimately brings this vigilante down. You didn’t think we’d have a list of Batman’s best battles without including Joker, did you?! The two have a long history of memorable clashes and it wasn’t easy at all trying to figure out which should be featured. From their classic first encounter to fighting on a plane in The Long Halloween, it’s tough to side with just one Joker fight, especially since many are so different. However, the vicious encounter they have in THE DARK KNIGHT RETURNS is a real jaw-dropper and the fight just oozes with intensity and hatred as Miller puts their dynamic on display. We’ve seen these two trade hits time and time again, but you know it’s on when someone gets aBatarang in the eye. And the ending? Yeesh. This has been a pretty long read, so we’ll be nice and end it on a note that’ll hopefully make you smile. Batman’s spent 75 years duking it out with all kinds of opponents, but the time he knockedGuy Gardner’s lights out with “ONE PUNCH!” is priceless. Sure, Guy’s Power Ring should make the fight unfair, but the Lantern’s ego took control and he was foolish enough to challenge Bruce without the ring. Obviously, it didn’t go well for him, but it sure went amazingly well for readers. ONE PUNCH! great post to increase my know-how.